We’re not super heroes. Just crew members doing their bit. 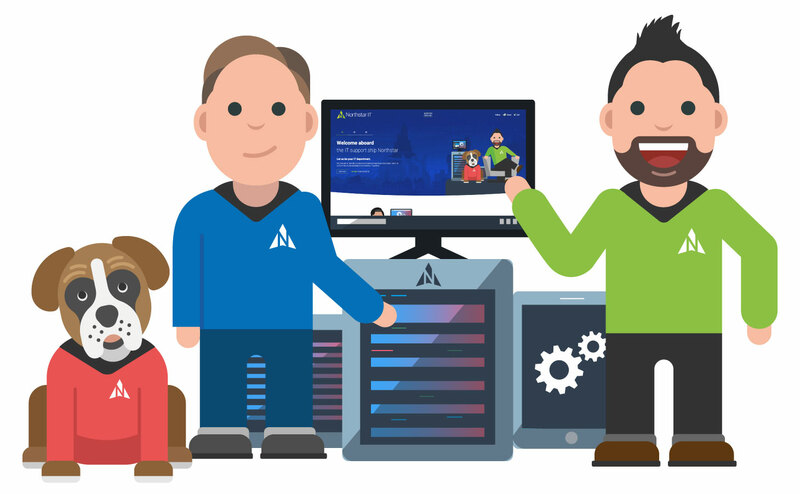 When we are not connecting your Enterprise to the information superhighway, or fixing the galaxy’s IT problems, we are actually quite a down to earth lot. Outside of our work, we like to help wherever and whenever we can. As individuals and as a business we support a number of good causes to try and make a difference. 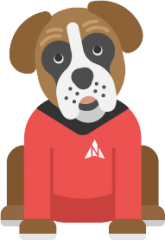 Here’s our Captain’s Log of the recent causes we have supported – and how we do it. 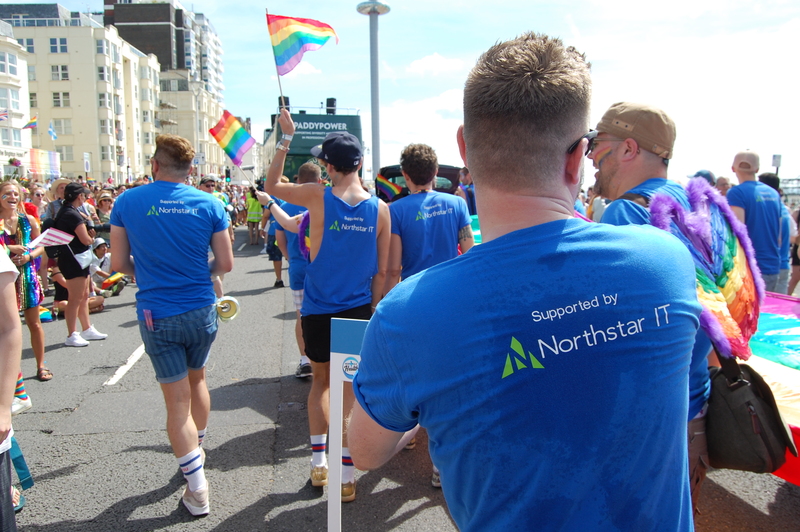 In line with our on-going partnership of support for the amazing team behind MTH, Northstar IT was again support their entry into this year’s Brighton Pride Parade. 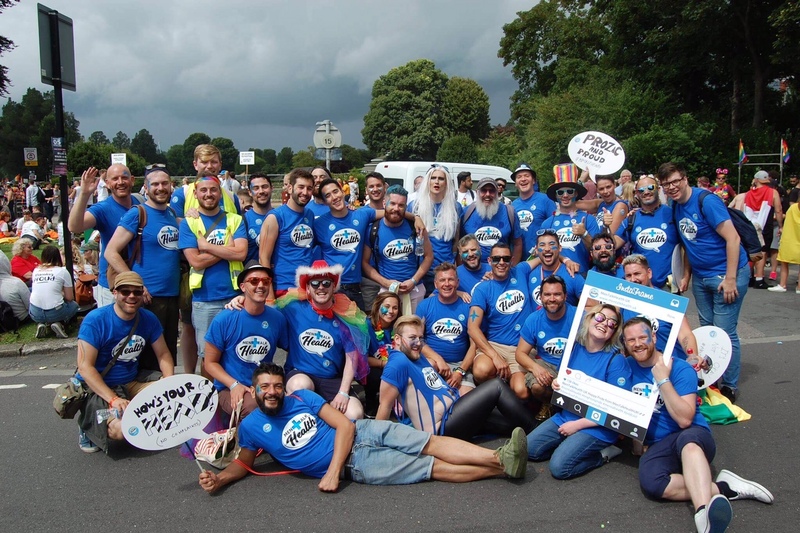 This year seems to have surpassed the 2017 Parade day, with according to office statistics quoted in the Brighton Argus more than ever were in and those out to support the Parade on Brighton’s streets along the route. This has resulted in extending the campaign of MenTalkHealth UK to end stigma around mental health conditions, and to reach out to more people. Judging by the activity on the group’s Facebook page, it seems that the day has proven to be a bigger success than any of the group could imagine. You can also view all the photos taken on the day there too. Director’s Christian and Myles were there in person to lend a hand and in addition to the t-shirts and stickers supplied 120 bottles of water to help keep the marchers hydrated on what seemed like a relentless day in the sun. But the sun fueled those smiles, and the crowd watching were amazing with their support and interest in what the group were about! 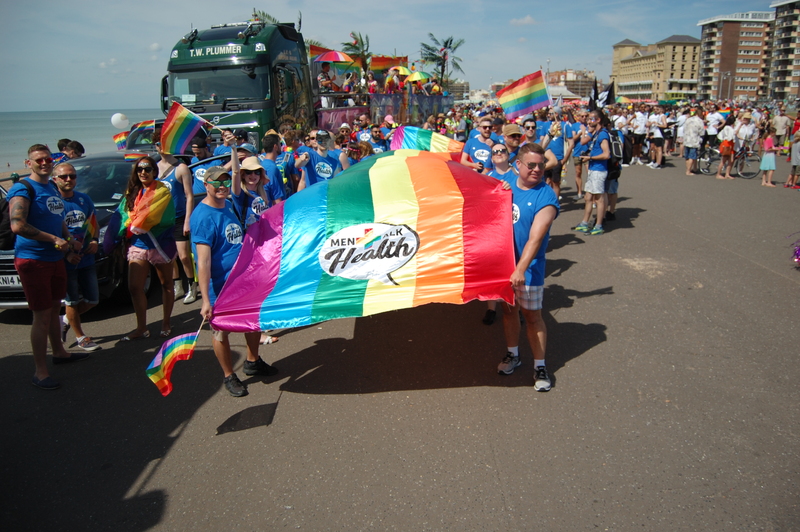 We hope that all this activity will help keep the momentum going as MenTalkHealth UK have applied for ‘Charity Status’, so that they can apply for grants and ensure these important messages keep broadcasting. Keep an eye on the MenTalkHealth Facebook page for more news. Northstar IT will be continuing their support, but urge others to get involved and even make a small donation, every £ counts! As much as we would like to, we can’t do it all. You can make a donation by following the secure PayPal link on the group’s website. Christmas is a wonderful time of the year, but it also brings pressures that some of us will never understand fully. Well we have already thrown our support behind the amazing team at MTH this year, but as it was Christmas we wanted to do something more. We usually splash out on cards and drinks for our clients, but this year we wanted to do something more meaningful and certainly in the spirit if not ‘spirits’ of Christmas. So the ‘Dry January’ fundraiser is coming early this year for this local organisation as we have chosen to donate £500 in the name of our clients to the group, which we hope will help the good work get to a flying start in 2018. We do hope our clients approve but if they don’t we are confident their livers will! Although support is an on-going partnership between Northstar IT and MenTalkHealth UK, we wanted to start 2018 in a constructive and positive way. We feel like we’re making a difference to some special people who are working hard and against the odds to making a real difference in an area that needs more support than ever. Merry Christmas and we hope a healthy 2018 to Davey, Damian, Eli and all of their amazing supporters! The mind is a far more complex beast than any IT system could ever be. And, when things go wrong, it’s much harder to seek and find support. That’s why we sponsor a community group offering help to those struggling to cope with mental health problems. 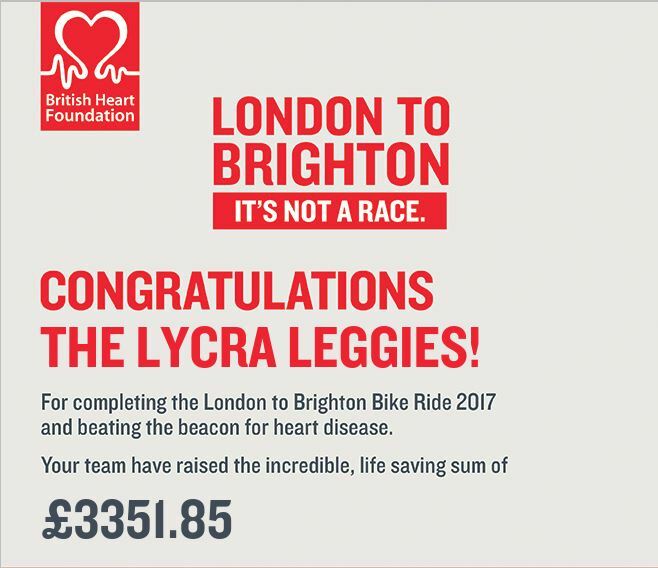 Working up something more than a sweat, Captain Christian traded his spaceship for a cycle for a sponsored London to Brighton bike ride. “It’s not a race,” was the quote of the day! But the end result was far from a race, as it was the most humid day of the year so far, and that climb up Ditchling Beacon was no small feat. However as the picture shows, the hard work was definitely worth it, and very much a team effort! A few hard earned pints awaited at the finish line! 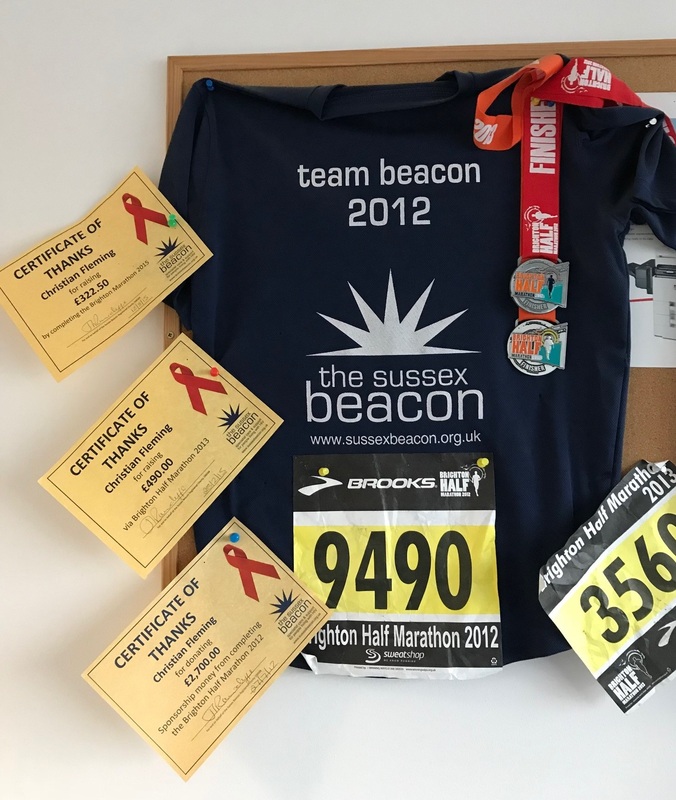 Wishing he had brought his transporter, Captain Christian completed the Brighton Half Marathon twice, the first on the above stardate – but not on the same day! 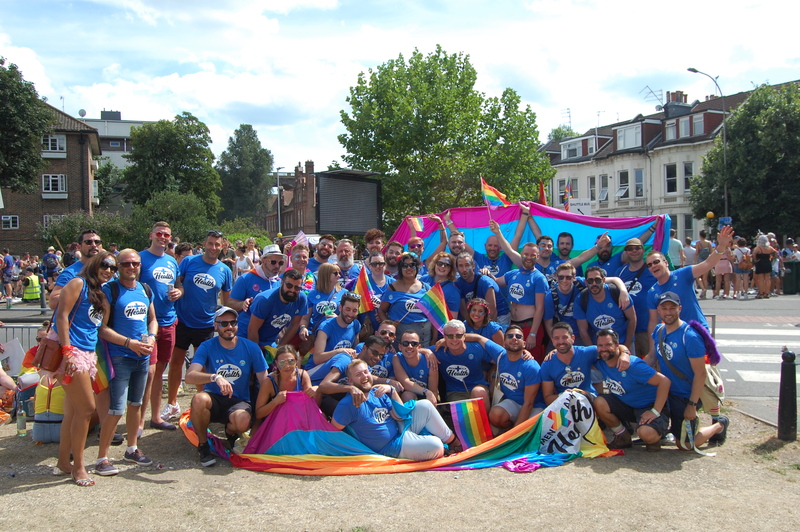 “With thanks to an amazing network of Clients, Suppliers, Friends and Family have helped raise a staggering amount of money for my first charitable ventures as a proper grown up” – Captain Christian. "Is this the logical thing to do? No, but it is the human thing to do"